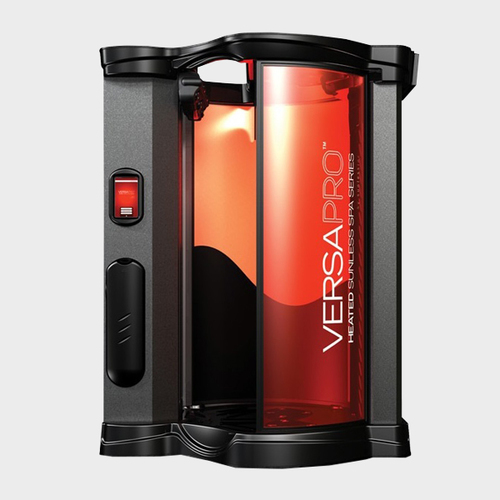 VersaSpa® PRO Spray Tan System provides a premium spray tanning experience with 3 spray nozzles for even full-body coverage. The open booth provides a warm environment that is comfortably heated and an easy and relaxing experience, resulting in a beautiful tan. Heated booth that dries you automatically.